Today developer Rogero has released a new custom firmware that can only be installed on a OFW/MFW/CFW 3.55 Playstation. Check out his notes and the important information listed below. Current 3.55 homebrew application can't be loaded on this CFW, applications must be re-signed properly. Downgrading back to 3.55 is always possible using hardware flashers and will be tested soon using software methods. 2- Always make a NOR/Nand dump using multiMAN or memdump before installing this CFW to have a recovery backup in case of any bricks.Having a valid NOR/Nand dump is an essential step before upgrading, because you will always have a way to recover (using hardware flashers) when you have a valid dump. 4- Always use the Recovery Menu while installing this CFW to avoid possible bricks (XMB update works, but Recovery Menu is safer). 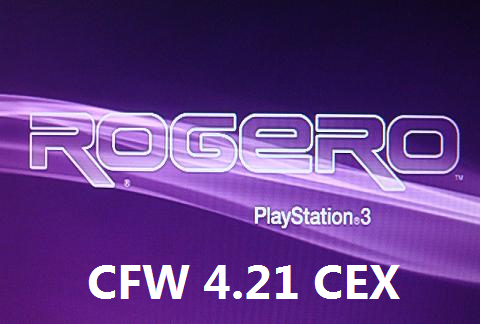 5- TrueBlue CFW users must update back to OFW3.55 before installing this CFW to avoid possible bricks. **Credits to eussNL and the PS3DevWiki for the valuable and always up-to-date source of information. **Credits to Deank for his continuous efforts on Multiman and many other PS3 tools/fixes.